1999SEA RAY 540 SUNDANCER w/ Twin 640hp Caterpillar 3196TA V-Drives Only 789 hours Located in the freshwaters of Lake of the Ozarks this540 Sundancer has numerous features and upgrades including:BowThruster, Cockpit AC/Heat, Cockpit Refrigerator, DSS Satellite System, B&G Auto Pilot & Electronics Pkg, Furuno 1942 Radar w/RP-110, Fiberglass Hardtop/Spoiler SYS w/Enclosure, Hardtop Sunshade, 15.0kW Westerbeke Dsl Generator, TNT Hydraulic Swim Platform and "New" Sea Deck flooring in cockpit and swim platform. 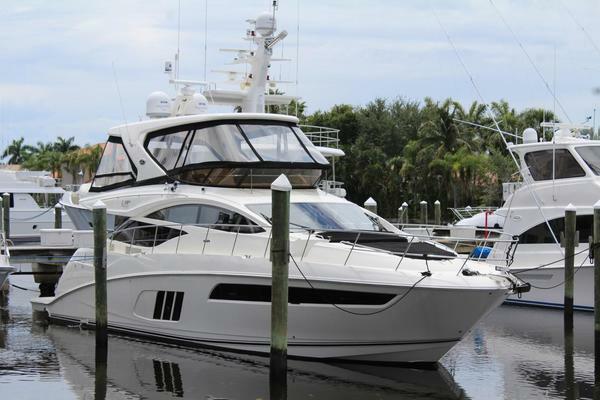 United Yacht Sales New Jersey would love to guide you through a personal showing of this 54' Sea Ray 540 Sundancer 1999. This yacht for sale is located in Lake Ozark, Missouri and priced at $249,900. For a showing please contact us by filling out the form on this page and we will get back to you shortly!